When speaking to job seekers, so much of my advice has come from business experience. I tend to have the biggest impact when understanding the big picture and the “why” certain decisions and actions come about. Many of these books have an entrepreneurial tone to them, however, I would suggest that when employees look at their positions with an entrepreneurial spirit, they will add more value to their employer leading to a greater chance in advancement. I’m a big believer in value drives opportunity…not opportunity drives value. Many times I hear, “if only I had received that promotion, I would have done XYZ.” Why are you waiting? Go show value now. Give management, owners, board members a reason to give you more opportunity. 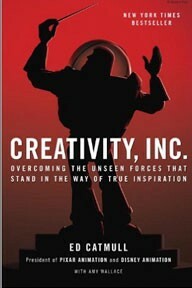 The books below offer tremendous insight into great business minds and organizations. We all know there is no perfect company. Take the gems you find in these business books and find ways to apply “wins” into your organization. Opportunity follows value. If you don’t see a book on my list, please let me know in the comments below. These are just a few of my favorites I feel like every business professional should read. Content continues to be the power of marketing in 2017. If you are wanting to separate your self as a thought leader in your industry, you’ll need to create stellar content. 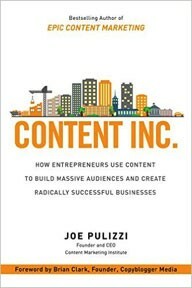 Joe’s book helps you look at your business differently. Build your audience, then develop a strategy to sell to your audience. 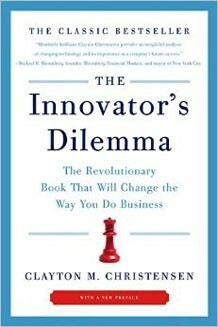 The Innovator’s Dilemma: The Revolutionary Book that Will Change the Way You Do Business by Clayton M. Christensen. Harvard professor, Clayton Christensen published this classic business book back in 1997. So many of the principles hold true today and will help you look at the impact of new technologies in your business. “outstanding companies can do everything right and still lose their market leadership — or worse, disappear completely.” Learn how to avoid a similar fate. Focus on disruptive technology/process to gain and hold market share. 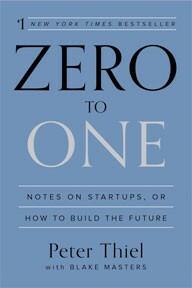 Peter Thiel is the founder of PayPal and original investor in facebook. With his experience as an entrepreneur to venture capitalist, Peter offers true entrepreneurship insights on building the future. Ari and Nick do a great job sharing their informative story on their first year in business. Gives you great ideas to optimize your growth process. 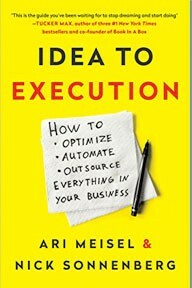 If you’re looking to learn how to optimize, automate, & outsource everything in your business this book is for you. 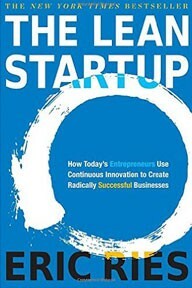 The Lean Startup helps companies who are more capital efficient and leverage human creativity better. Agility and shift in directions helps companies eliminate waste and adjust their vision on the fly. One of Silicon Valley’s most respected entrepreneurs tells his story of success and most of all, hardship. 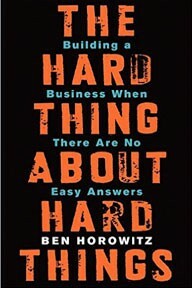 Ben Horowitz has a transparent view on the toughest problems you don’t plan for in business school. I love the fact at how personal Ben gets in his story. Company culture is a main driver in a company’s success and Ben does an excellent job of teaching through examples of how hard things can make your culture stronger, if done correctly. When hard things are addressed the wrong way, company culture is destroyed. Ed takes us through a journey of how to lead employees to new heights. He does this through intimate stories of management and team moments while building the first-ever 100% computer only generated movie, Toy Story. In a time when Millennials are the largest demographic of our workforce, creative and engaging management is a must. Ed gives us the examples of building thoughtful management. Looking for ways to originate new ideas, policies and practices without risking everything you have? 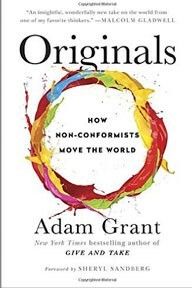 Adam Grant, author of Best Seller, Give and Take, shares how to recognize a good idea, build allies and take it to market. Grant looks at innovators in history with monumental successes but failed to gain traction in other areas. Success in one area, may create blindness in another. Grant points out that procrastination often triggers the most creative and productive results. It seems that the brain wants to process the problem right up to the deadline. Silicon Valley’s most recognizable entrepreneur of 2016 shares his view into his life, family and friends. Elon shares his journey from the rough times in South Africa growing up to what motivates his business direction. 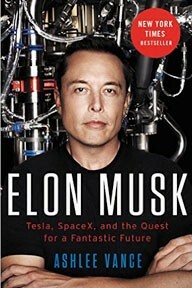 Elon is a modern day inventor of the human future. Learn more about his far-reaching vision of how technology and human interaction grow together. 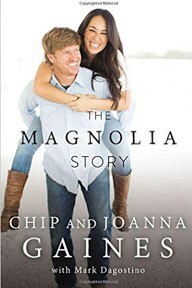 “Fixer upper” is now synonymous with Chip and Joanna, HGTV’s sensational duo. This humble couple has entertained and motivated millions by renovating homes and documenting their process to change lives. Get the behind the scenes of how America’s favorite couple met, raise four children and inspire renovators to think more creatively about their home. Learn how life lessons and their childhood shaped them to the life on the farm they have today. There are movements reshaping the word today. Thank You for Being Late is a work of contemporary history that serves as a field manual for how to write and think about this era of accelerations. It’s also an argument for “being late” — for pausing to appreciate this amazing historical epoch we’re passing through and to reflect on its possibilities and dangers. 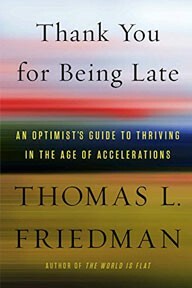 Friedman submits the challenge if we slow down, if we dare to be late and use the time to reimagine work, politics, and community, we can overcome the multiple stresses of an age of accelerations. IoT today is reshaping the future of business and existing industries. You need to consider how integrating the internet of things into your business model will keep you relevant in 2017 and beyond. 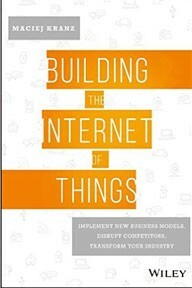 Focusing on the business implications of Internet of Things (IoT), this book describes the sheer impact, spread, and opportunities arising every day, and how business leaders can implement IoT today to realize tangible business advantages. In this book, author S.J. 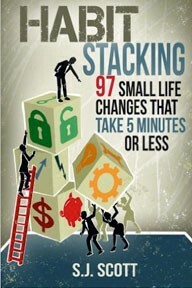 Scott introduces the idea of habit stacking — when you build an entire routine out of several tiny habits — and offers small, five-minute changes that can completely transform your personal and professional life. What do successful people have in common? They achieved success by focussing on the patterns that shape every aspect of their life. 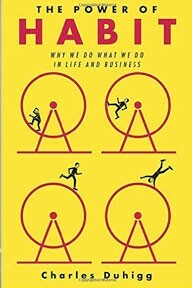 New York Times reporter Charles Duhigg’s “The Power of Habit” analyzes how patterns are formed, work, and how you can even change them. A great option for those who want to transform some aspect of their lives. 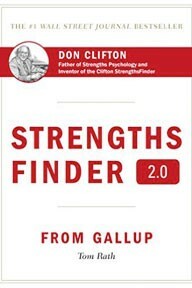 As a follow-up to the wildly successful “StrengthsFinder,” author Tom Rath’s second installment offers an improved assessment to discover your strengths and a thorough action plan to apply them to your life. Verne has put together the hard truths of running a company poorly. This book gets right down to the core problems most of us as business owners face. 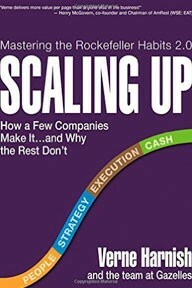 Use this book as a workbook for CEOs to build on their craft of running a polished organization. 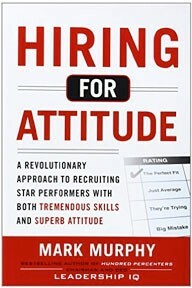 The key take away from this book is centered around the power and predictability when you have flawless execution. The continual number one problem we face as entrepreneurs is people problems. Success start when finding the right talent that will thrive and contribute to your company culture. This book will give you the tools to rethink your hiring goals in 2017 and how the people-side of your business will increase your opportunity for growth while reducing your risk for failure.